I did some exploration off the beaten path hoping to find places that other photographers haven't been to so that I could have the chance to produce unique images. Don't ask where I shot this and I promise I won't tell. ;-) What I really liked about this hoodoo is the way that it appears to be twisting around perhaps to look over its shoulder. 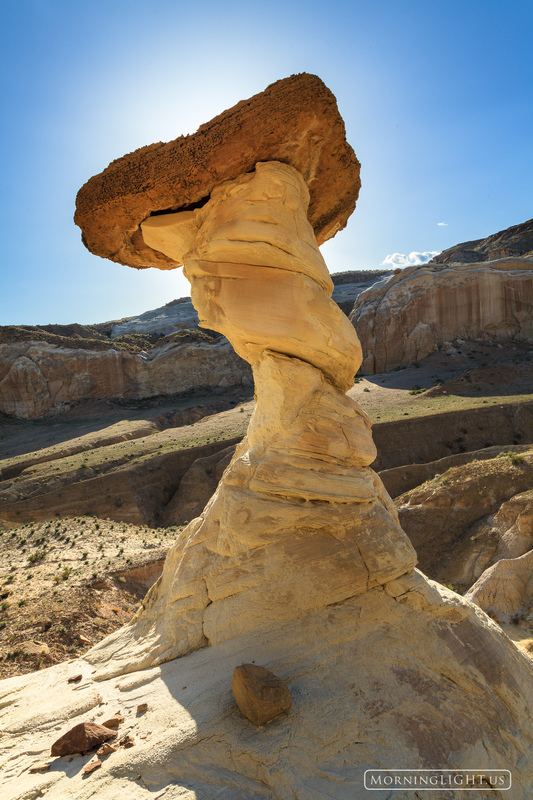 I shot this image into the sun and used the hoodoo top to block the sun itself. Photo © copyright by Erik Stensland.